(JULY 26, 2018 – SEATTLE, WA) This September, the Bill & Melinda Gates Foundation Discovery Center will present Design with the 90%, an exhibition highlighting efforts of designers around the world to develop affordable and sustainable shelter, food, drinking water, sanitation, and health solutions for some of the world’s most marginalized communities. On view September 13, 2018 through May 11, 2019, Design with the 90% was organized by Cooper Hewitt, Smithsonian Design Museum and features more than 25 projects that demonstrate how design can be a dynamic force for social change. Curated by Cynthia E. Smith, Curator of Socially Responsible Design for Cooper Hewitt, the exhibition focuses on a broad survey of design solutions from around the world that address questions such as: How might design transform lives around the world? In what ways can design act as a catalyst for change? In what ways can design expand access? How can design include those who have been excluded? In 2007, Smith curated the first Design for the Other 90% exhibition at Cooper Hewitt, to bring a spotlight to the important role design could play in responding to pressing issues facing the world’s poorest communities. It explored the critical global issue of extreme poverty and demonstrated how designers are developing solutions to meet the needs of under-served communities around the world. The exhibition was presented at Cooper Hewitt in New York and subsequently traveled throughout the U.S. and has since led to two more exhibitions, Design with the Other 90%: Cities and By the People: Designing a Better America. This presentation of Design with the 90% at the Gates Foundation Discovery Center has been adapted and updated with new projects and new iterations of past designs with a focus on projects that were designed by and with communities. Many of the designers in the exhibition are from the country in which the project is most needed. Several Seattle area designers are featured in the exhibition such as BURN Design Lab based in Vashon, Washington. They were part of a design team to create BURN Cookstoves, which reduces fuel consumption and smoke production to enable a more affordable and less toxic cooking environment. PATH, a leader in global health innovations, is featured with their Freeze-Preventive Vaccine Carrier, that keeps vaccines from accidentally freezing during transport to rural areas. Many newer, costly vaccines such as human papillomavirus, pneumonia, and rotavirus, are compromised if frozen, leaving vaccinated children and infants at risk for disease. Seattle-based TEAGUE collaborated on a design prototype for the rugged Kenyan-designed KioKit, which combines 40 kid-friendly tablets and headphones, a wireless charging case with 5TB of storage and pre-loaded educational content that can transform remote schools into digital classrooms. 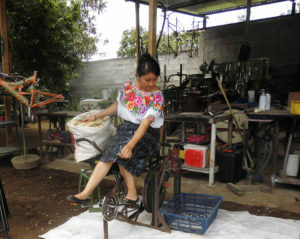 Other projects showcased in the exhibition include the Maya Pedal, human-powered machines made from readily-available, discarded bicycles that can be used without electricity to complete time-consuming tasks such as milling grain, shelling corn, washing clothes, or pumping water to supply entire neighborhoods. The Portable Light Project is a rugged solar textile kit with flexible photovoltaic panels that can charge medical devices or mobile phones and extend time for reading and work in the evening hours. It offers an alternative accessible source of energy for families living off the energy grid in remote areas like the Amazon rainforest. In Tanzania, the majority of people live without electricity, yet a third of the country uses mobile phones. 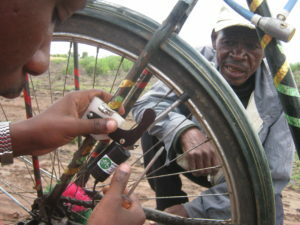 After experiencing rolling electrical outages with no way to charge his mobile phone, Bernard Kiwia of Tanzania, designed the Bicycle Phone Charger, a mobile phone charger made from scrap bike and radio parts. The design demonstrates how appropriate and effective solutions can arise from within local communities. 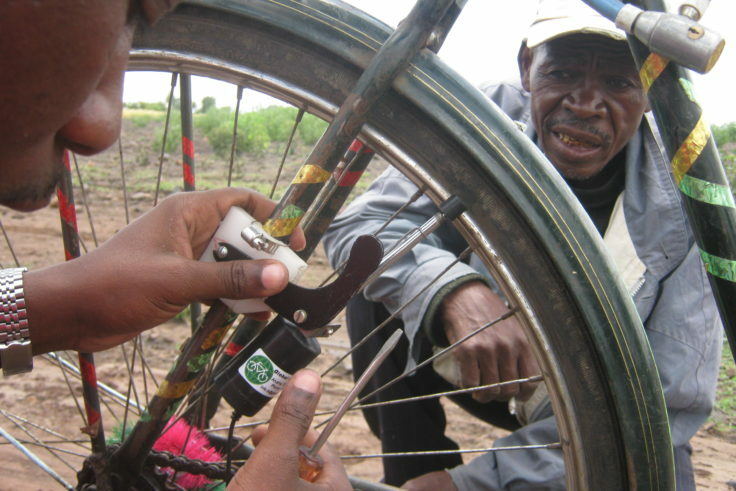 The need for prosthetics is high in countries with large numbers of amputees caused by landmines, disease, and natural and man-made disasters. Made with simple components, reducing frequent maintenance, the ReMotion Knee is an affordable prosthetic that helps restore natural movement. The San Francisco based design team, D-Rev, has delivered the device to clinics in 28 countries. Digital platforms and apps that improve lives are also featured in the exhibition such as HarassMap. After experiencing daily sexual harassment on Egypt’s streets, four women launched an online crowd-mapped anonymous reporting system, HarrassMap. Anyone can share via text message individual incidents, noting the location, date and time, personal and witness accounts, and any interventions, which are aggregated to reveal hotspots. The exhibition will also highlight local issues where design can play a key role in developing solutions to challenges facing communities in the Seattle area. Visitors can participate in a design thinking challenge, get inspired, and connect to local design community programs, and learn more about how to get involved. Review the full list of featured projects. Guided by the belief that every life has equal value, the Bill & Melinda Gates Foundation works to help all people lead healthy, productive lives. In the most under-resourced parts of the world, it focuses on improving people’s health and empowering communities with opportunities to overcome extreme poverty. In the United States, it seeks to ensure that all people—especially those with the fewest resources—have access to the opportunities they need to succeed in school and life. Based in Seattle, Washington, the foundation is led by CEO Sue Desmond-Hellmann and Co-chair William H. Gates Sr., under the direction of Bill and Melinda Gates and Warren Buffett. 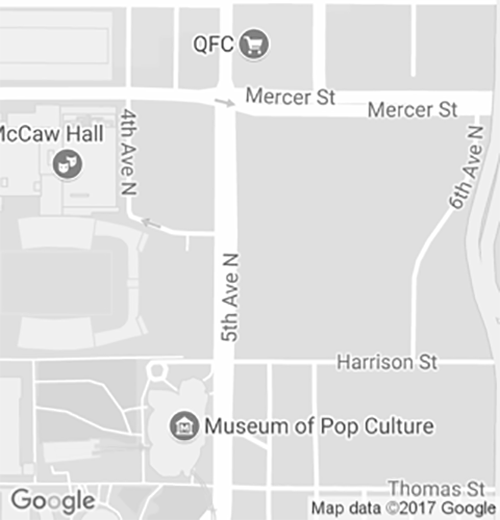 Located next to Seattle Center and the headquarters of the Gates Foundation, the Gates Foundation Discovery Center is a catalyst to educate, inspire, and motivate local and global awareness and action. 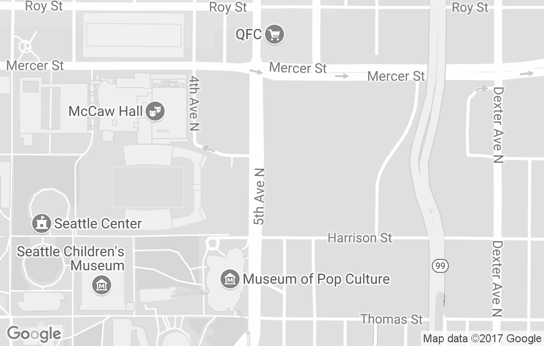 Through exhibits and programs, the Discovery Center convenes and connects people to relevant topics, stories and resources to inspire action in our hometown and beyond. Admission is always free. Open Tuesday – Saturday 10 a.m. – 5 p.m. (6 p.m. in summer). More information at discovergates.org.